Last night one of Mandelson’s favourites, Tristram Hunt, won a questionable selection contest to take the Labour candidacy in Stoke Central. The selection panel did not allow any local contenders on the shortlist. 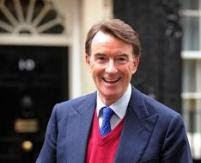 Fed up of being pushed around by the national party Stoke Central constituency Labour party secretary Gary Elsby has just said he’ll stand against Hunt as an independent. I’ve no doubt that some of the people that opted for Hunt would have voted for a local candidate if they’d have had the chance. But the news has raised the possibility of a more significant situation. The battle between Elsby and Hunt will split the Labour vote meaning a challenge from the BNP will carry a higher chance of success. The nationalists have a sturdy following in Stoke and a strong presence on the city council. It’s not a coincidence that the BNP deputy party leader Simon Darby is their candidate for the seat. 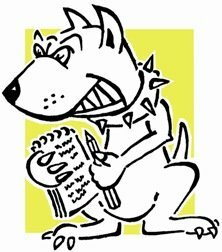 People have been watching Nick Griffin in Barking up until now as the main threat from the BNP, now there are two fronts. Another factor to take into account is the former BNP councillor Albie Walker also standing as an independent. 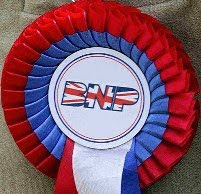 From what I've read a lot of the BNP's popularity in Stoke is due to their local work which may favour Walker. Could be just as big a split as amongst Labour voters. I note with glee Mandy P's touch is getting ever more reflective of his natural ability to screw up. This fragrant perfumed parachute ain't going to cut it in Stoke!! Risky business from Labour, this could go catastrophically wrong.